Since the last posting concerned a return to relative simplicity in a hamlets and villages motif, I decided to focus in the opposite direction examining a somewhat controversial topic with connection to Susquehanna, Washington County, New York and even Salt Lake City, Utah. Please bear with me for a side study shining a light on the conjectural origins of the mysterious Book of Mormon with a particular notice on how it might of been written and came into existence. This became a bit of a detective work in attempting a reconstruction of a series of events to reach a rational and coherent solution. It is just one of those things, yet I am in the process of undergoing a bit of 'trial and trib' with renovations and of all things, sewage upgrades. Particularly exasperating are health issues which include two cataract surgeries and new medications. And I'm not even in my sixties yet! Your prayers would be most appreciated. Here's hoping you all enjoyed the Thanksgiving holiday and are looking forward to Christmas and 'wrapping up' another year. Onward around the next bend, folks. Now for a few questions. Can we help recount historical evidence referencing a sensible hypothesis, putting together pieces of the puzzle in a credible order, then having done so, reach a verifiable and reasonable conclusion on this debatable subject? That shall be seen and you must be the judge. Did I mention the unusual architecture of Mormon temples, the purple planet Kolob, the old Council of Ytfif and what it signified, or Jesus as the brother of Lucifer, and God had intimate relations with Mary too? While we're on this subject, did we refer to the unsettling doctrine that God was not the first, is not really a spirit, but was once even a man? No, I didn't, not until now. This is not the normal realms of Christian theology. One could: established practices such as 'blood atonement' especially under the direction of Brigham Young in the 1850's, a part of what is called the Mormon Reformation; punishments inflicted by the special 'Danites', or destroying angels and their manifesto, the odd threatening behavior as of the "Whistling and Whittling Brigade', the various 'Mormon Wars', the many arrests of Smith himself for fraud, treason, perjury and riots, some of the charges being quite serious; the Mountain Meadows Massacre, involving murderous atrocities committed on emigrants. It is supposed that these occurrences would have to also be seen from the Mormon's side too. Understandably, few people could remain neutral in those times. Still, what an odd kettle of fish. Will any of this post be acceptable to the Mormon church? The answer is probably not. We can hardly please everyone. As is the usual habit, I will recount as much as is convenient, and except for specific quotes will be attempting a serious effort NOT to copy and paste information. Now that we have a brief foundation on what exactly is on the table there are few who would deny Joseph Smith held court as a controversial figure while he was alive and afterwards. He was born in Vermont, later moving with his flock about quite a lot through New York, Missouri, Illinois, etc., always it seemed in the midst of turmoil. His minimal time spent in Pennsylvania and a few other places is of special interest throughout the following discourse. The further the subject researched, the more the realization of how voluminous the material was to be studied. Although some of these origin theories are not necessarily considered proven within all circles there are certain indications which should indeed be taken with much more than a grain of salt. Info on key players as Sidney Rigdon, Solomon Spalding, and Joseph's wife, Emma Hale, Joseph's involvement in Harmony Township, and his early career, if it can be called such, of treasure hunting are a few of the many concerns that come to mind. A handful of witnesses made statements that Rigdon knew Smith before 1830 and was preaching revelations about a new religion from an upcoming book on par with the Bible which would explain the Indian origins in connection with the Israelites. The plentiful accusations of a once common practice of polygamy is well enough known and not without foundation. The same goes for the close association with the Freemasons and other issues not covered as of lesser interest. Very few people have much doubt these practices were sometimes condoned and incorporated within Mormonism, although the LDS distanced themselves from polygamy. That is hardly part of what connects this specific article to Joseph Smith; so, again, much must accordingly be left on the shelf. While stepping into a compelling narrative with many peripheral characters, exciting implications lead toward a little known piece of Pennsylvania history. Frankly, the story is most concerned with the specific information connected closely to Joseph Smith and his compatriots and their time in our state in relation to questionable episodes in his life and conflicting claims of the LDS church leaders. Speaking of which, there exists a hugely complex hierarchy in Mormonism, various temples and their functions: the Quorum of the Twelve, the Three Witnesses, the Presidency, The Seventy, the High Council, and on and on. An interesting aside is the assumptions of the antiquated theory that tribes of American Indians are descendants of the supposedly lost tribes of Israel, a once prevalent belief of the 19th century. Another, the Anthon transcript fragment of 1838, more so acknowledged by Smith's account as claiming they were partly transcribed directly from Smith's plates. With these shaky grounds for authenticity abound as to actual corroboration with Harris' involvement in the claim of possessing and having verified what he called a language of 'reformed Egyptian'. On giving the characters a moment's thought, a layman should be keen enough to hold doubt about a transcript of not only a form of ancient Egyptian, but the presence also of 'Chaldaic', or Aramaic, Assyriac or Akkadian, and 'Arabic', of which there exist many varieties, and the idea at this stage of the game, someone unfamiliar with these languages would recognize and them with a fair amount of acuity never minding the use of mystical props, then, that these would be side by side or in a mix, akin to the proverbial Tower of Babel, is a very long stretch of the miraculous causing anyone a stir of misgivings. Hardly a surprise is the statement that Anthon tore it up pronouncing it as a hoax and confirmed by Dr. Samuel Mitchill, finally informing Harris his opinion this nothing more than a scheme to cheat him of his money. Further complicating matters, Orasmus Turner, a highly respected editor of western New York, who knew the actors involved, was quoted in the Lockport Balance of the May 31, 1831 issue, "The founder of Mormonism is 'Jo' Smith, an ignorant and nearly unlettered man, living near the village of Palmyra, Wayne County...", which normally would convince most he certainly needed someone to 'translate' any writings for him. We won't go into details about a peripheral factor of the thorny problem of DNA evidence, or lack thereof, for the migration to the New World. One report states that Lucy Harris, an abused wife, before burning it, hid the manuscript and asked Smith to find it with his seer stone to which he was unsuccessful. Part of the circumstances of the lost pages and the material copied from the Book of Nephi relates to the odd vagueness and lack of descriptive geography or any sense of direction; including in the early parts of the book written by Smith the paucity of ancestral lineage and references to names and dates, then suddenly they are on track in later episodes. The amazing claims of the LDS structure through Smith and Young, and their writings of extremely detailed miraculous events tend to go beyond even most supernatural elements contained in the Bible itself while particularly noting the concept of divine revelatory experiences, which are legion. A tall order to rise above since, "the Book of Mormon was the most correct of any book on earth..."
There is also a serious reservation for historical sholars on archeological and anthropological grounds, i. e., where are the actual remains of these offshoot Israelites? Not to mention the cities, housing, breastplates and armor of all that were killed with such bloodshed in so many of the ancient Nephite and Lamanite type of wars. That's not including the large amount of gold and silver coinage described in various chapters of the Book of Mormon. Indeed, at one place is the statement, "He saw that there had been slain by the sword already nearly two millions of his people..." Many of these were left unburied. Areas of New York alone would yield a tremendous amount of graves, mounds and bones. It goes without saying, inexpilcably none of these have been remotely forthcoming. A knot of conflicting testimony is deeply embedded on both sides of the issue, which along with the differing organizations and groups over the years: writers, ex-Mormons, committees, the LDS research departments, and what not, unfortunately (maybe the opposite! ), requires a ton of delineation and discussion just to touch on the many issues and scratch the surface. OK, I'm starting to repeat myself. Obviously, much will not be undertaken in the article. Some may be heard quietly breathing a small sigh of relief on reading the foregoing statement. The matters of archeology are not leaning in the favor of Mormon theology. and what most mainline denominations would term the controversy and reasoning behind re-translating the Bible, along with claims in the Covenants and Dogma and Pearl of Great Price's extensive writings is yet another issue for other research. These are all fascinating topics which one can gather much knowledge about by diligently consulting the web. It does take time and this may save you a certain amount of it. As to whether this really is an expose of sorts, that is not necessarily the main intention. Rather, the historical ramifications from areas of Pennsylvania the blog is familiar with are of major concern. The various facets of Mormonism are naturally revealed as a byproduct. It supposedly took Smith four years to recover the record of Mormon. In acquiring the plates on September 22, 1827, by the instructions of the angel Moroni, Smith claimed there was a toad in the box, "which soon assumed the appearance of a man, and struck him on the side of his head...and hurt him prodigiously." Not what he would likely of expected from a find ordained by God himself. After this, he had to run for a long distance with them to get home, yet they would of been extremely heavy, while he was knocked about by various attempts at thievery while incredibly maintaining possession. Those that quickly checked the hill all said there was no fresh dirt or hole anywhere to be noticed; not a propitious beginning for such an amazing tale. Oliver Cowdery once stated in Doctrines and Covenants, that God instructed him, and apparently Joseph, rather oddly enough, about the translating method in April, 1829, "...that you must study it out in your mind; then you must ask me if it be right,and if it is right I will cause that your boso shall burn within you: therefore you shall feel that it is right." If this seems a bit unusual, Joseph once wrote in 1842, "That which is wrong under one circumstance, may be and often is, right under another..."
But, if alternate theory is at all correct, this may be the occasion during which early on, Pennsylvania's own Sidney Rigdon initially, and Oliver Cowdery, the most likely candidates, were perhaps busily rewriting and paraphrasing in the background, copying out and altering the Spalding manuscript for later 'translating', which may of been more of a dog and pony show. Harris, divinely ordered under Smith's 'guidance' as the main financial contributor toward future printings, was demanding physical proof for the existence of the plates. Something, considering the witnesses at candid moments said the plates were seen in vision with the 'eye of faith', those closest to the source may never of had actual recognition of except for maybe the glass box holding tiles, as stated in a letter by Lorenzo Saunders, an intimate well acquainted with the main personages under discussion. An occurrence it would do much to explain since it took Cowdery and Smith a mere 75 days to produce a whopping, nearly 600 pages. There was much confusion as to the actual testimony of the Eight Witnesses. Those characters added on the inside cover were said to of been cajoled into it. The case is hardly strengthened since those named are not written in their own hand. As for the Three Witnesses, one example might suffice, being David Whitmer's inconsistent testimony: saying at one place that he handled the plates and saw the angel, at another, "We did not touch or handle the plates." Martin Harris, on a later date, said that he had only hefted the plates in a box with a cloth over them, and "the eight witnesses never saw them & hesitated to sign that instrument for that reason, but were persuaded to do it." A damning situation he reportedly came to regret. In 1852 he left the cat out of the bag, freely admitting to an associate that Rigdon had stolen the Spalding manuscript and had it printed as the Book of Mormon. These revelations of a very different sort were made at about the time when the Kirtland Bank scheme failed, which was nevertheless 'divinely' ordained. This failure caused many prominent members to either withdraw from membership or to be excommunicated. It should also re related in no uncertain terms, the Book of Mormon curiously conforms so closely to the 1611 King James translation of the Bible to which it contains the exact same contextual errors and peculiarities among other mistranslated verses. An extreme coincidence? Or should it be stated, YET another? There are more ambiguities that were even referred to by LDS historian, Marvin Hill in 1972. Solomon Spalding (1761-1815), who had been disabled during the Revolutionary War, received a BA from Dartmouth in 1785, while he achieved his Master's Degree in divinity in the year 1788. He became a minister of a Congregational church; eventually he migrated to the Pennsylvania-Ohio border region, historically known as, the Ohio Valley, living in Coneaut, Ohio from 1809-1812. He wrote a fantasy tome about the Biblical Israelites journeying to the New World and related to the origins of the American Indians in the age long before the coming of Jesus Christ. He failed at most of his financial ventures and enterprises. He moved on to Pittsburgh and then to Amity, in Washington County. There are obviously arguments for and against such ideas. In this respect, it is important to state that there hardly seems enough proof to conclude 100% that the Spaulding manuscript most definitely was the inspiration of the Morman doctrine, though the probability of the supposition is clearly up for debate. The missing novel, sadly lost, gave the appearance of being scrolls found in a cave or Indian mound, concerning the early inhabitants of America and their wars, pursuits and purported pseudo-history. Fair enough. The ex-minister died at Amity, Pennsylvania in Washington County, in 1816. 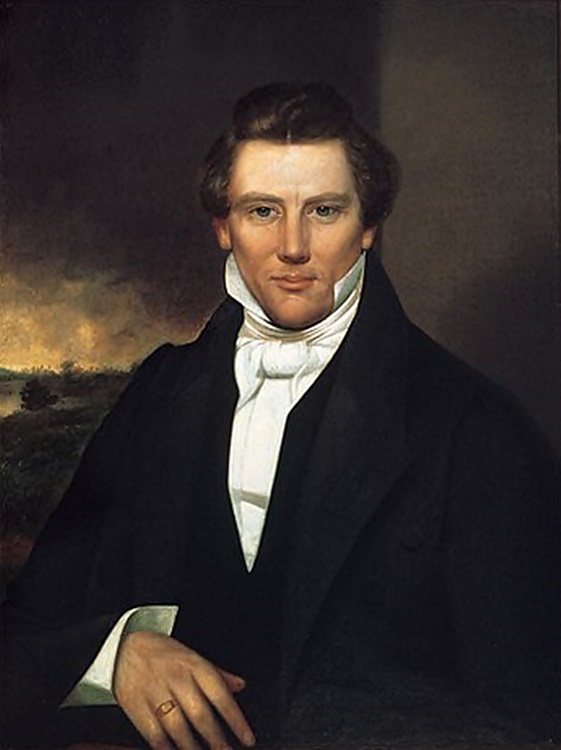 Sidney Rigdon was dismissed as a a heretic by the Baptists in 1824, and converted to the Mormon religion by 1830. He was said to of stolen this manuscript while in Pittsburgh. Mrs. Spaulding, or Spalding, reportedly gave permission from Massuchusetts, where she then lived, and according to Mr. E. D. Howe, Mr. Hurlbut was allowed to look for the 'Manuscript Found' at her old residence in New York. This was a romance in scriptural style from the Latin, of a roman voyage to Britain blown off course to America...this was called 'Manuscript Story', written on 'foolscap' paper, a special large type, on pages from an old accounting book or ledger, which differed from the previously mentioned parchments of 'Manuscript Found' which evidence shows was written on small quarto paper. He was said to of written many manuscripts as testified to by Aron Wright and John Miller in 1833. A few publications for the information comes from The Washington Reporter and the Pittsburgh Telegraph, (later the Sun-Telegraph) , among others. From what can be gathered, it is plausible the Manuscript Found material could of been used as a basic background outline, not so much as a copy word for word, although the mention of Nephi, Mormon, Moroni and Lehi is said to be directly related back to it, certainly as related by Matilda Spalding McKinstry, expertise and due time for study clearly of a technically professional caliber has led this inquiry in a test of time and integrity. Spaulding lived near Pittsburgh from 1814, and passed on in 1816. He was without the funds to have the material published by Patterson in that city so it had to wait. Whether Rigdon, who moved there after having grown up within a two hour ride of the city, by at least the final months of 1821, and was then Pastor of the First Baptist Church 3 blocks away. Iif he was connected to any later efforts or not, he was certainly on friendly terms with Patterson's ward, Jonathan Lamdin. Stories relate that the manuscript lay neglected for a long time at the print shop where Robert Patterson dealt in book printing and book sellig between 1819 and 1850. Where, it is safe to judge, Rigdon and Spalding were collecting their mail at the nearby post office. Some say it was somehow borrowed or stolen, either from the shop or from Mrs. Spaulding's home while she had it returned to her keeping. It has been claimed that Solomon Spaulding and his wife suspected Sidney Rigdon of being complicit in obtaining his writings in 1814. Also, none other a writer than the renowned Walter Scott on a tour and visit to Pittsburgh, he had knowledge that Rigdon "to be perfectly known to Robert Patterson." During this time, Rigdon's cousin George live to the north in Buffaloe Township, and his cousin's mother, Mary, with other family members lived in a house on Amity's main street very near to where Spalding had a tavern. Sydney himself lived in nearby St. Clair township, in fact, not far from Waynesburg. The opportunity for close contact was considerable and numerous. The printing offices of Robert Patterson, (Sr. and Jr.), and brother Joseph, were in Pittsburgh, Pa. In 1842, Samuel Williams wrote about the subject, "Mr, Patterson firmly believes also, from what he has heard of the Mormon Bible, that t is the same thing he examined at that time." Robert Patterson, who was still in business in the city at the time, never questioned this quotation in public. A major point to be made is the fact that the limited pages of Manuscript Story would be very unlikely in its unfinished, marked up form to ever be seriously in consideration for any kind of publication by an actual printing company. Thus, between his time in Conneaut and later in Pittsburgh and Amity by 1812 or thereabouts, Spalding sat the one aside and began a different pseudo-historical piece of writing, or had already been in the process of doing so prior to exiting Conneaut for Pittsburgh during the late summer and early autumn of that year. This much appears fairly certain. In her later years, Matilda Spa(u)lding McKinstry, mentioned that in 1816 her father had died in Amity, Pa, and her and her mother moved to Onondaga County, New York, taking with them Solomon's trunk in which contained "all my father's writings which had been preserved." She claimed Manuscript Story was not the same as Manuscript Found, something you would presume she had accurate knowledge of. She also stated, according to Mr. Roper, (a gentleman only concerned with the Mormon position who was said to trust late evidence favorable to that particular position and none that favored the anti-Mormon one, regardless of possible relevance), Patterson informed her husband, if he were to " make out a title page and preface, he would publish it and it might be a source of profit..."
While Matilda also mentioned in 1833 that Sidney Rigdon was further connected to Patterson's establishment "as Rigdon himself has frequently stated", Rigdon's grandson, Walter, told in an 1888 interview that his family knew for some time the Book of Mormon was derived from Solomon Spalding's manuscript! How enlightening. Later, Rigdon was disfellowshipped or excommunicated for scheming with false revelations (imagine that), and causing various conspiracies. On the Church of Jesus Christ of the Latter Day Saints side is Brigham Young University historian Matthew Roper and Professor Daniel Peterson. By way of different investigations an example would include instances of that of Wayne Cowdrey, Howard Davis and Art Vanick, who studied older historians' work and came to their own conclusions which some considered to be strongly anti-Mormon, (who claimed they were seriously harassed by the church less than forty years ago). 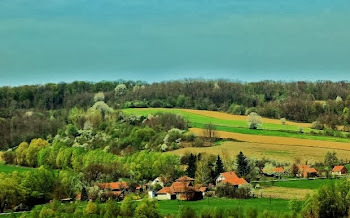 It has come to be understood that even before the Mormon material was preached, Spalding, who had moved his family to Conneaut, Ohio, had heard that a man in the back, on hearing it propounded, yelled that "Old Come To Pass is among us again!" For he was a source of entertainment among locals having a fair degree of popularity for his novels and also used that expression often. By the 1830's, the Book of Moron being in print, Conneaut residents and Spaulding descendants claimed what they felt was the obvious forgery or plagiarism and gave voice to their resentment, but it was too late since the manuscript had long ago disappeared, while notarized affidavits have not. Because over 200 witnesses interviewed by five different persons, (Hurlbut, Deming, Braden, etc. ), none ever publicly changed their story! Newspaper articles called attention to the ramifications of the 'enigma' and noted that this was thought to be nothing less than a well known case of fraud as at least by an extent of the writings brought a renewed awareness of Spalding's previous authorship. The fact that the Mormon church considers this bad scholarship or distorted claims, negative to their religion, simply goes without saying. 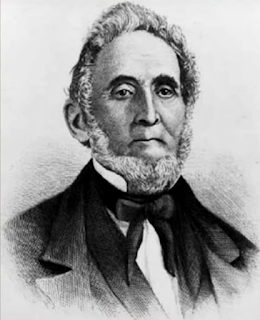 Solomon Spalding was known for often using the phrase, 'it came to pass', as stated above which brought some negativity to the new Book unveiled by Joseph Smith. In the 1830 edition of Smith's 'translated' book, he used that very phrase 1500 times. That hardly helped the LDS cause in ensuing years. From 1869-1886, there exists the further word of Miller and McKee, boarders of Spalding's and neighbors from Amity who surely knew him well: that Spalding thought Rigdon was a printing office employee, he had read parts of the manuscript and commented that he felt it would sell well. Lastly, Spalding suspected that Rigdon simply "spirited away" his book while it was missing for some time. Sidney Rigdon is an intriguing character. He was a tanner and a bookbinder, deeply involved early on helping Smith as the chief scribe in his so-called translations between 1827-1829; later, he brought in a distant relative of Smith, Oliver Cowdery, a schoolmaster who became the main translator for Smith of the bulk of the book in question. . More on that later. He began as a traveling preacher of a couple churches in his own right, frequenting regions of Pennsylvania in the latter days of Spalding's existence. Coincidentally, Rigdon's niece was quoted later in life that during one of her visits in Ohio, her uncle went to his bedroom and removed a manuscript from a locked trunk and his wife observed him sitting and reading it by the fire. She exclaimed to the effect, you are studying that again? I mean to burn it. Where, her husband responded, "No, indeed, you will not. This will be a great thing some day." Over the years others gave credence to these stories as well. Proof has arisen that Rigdon actually was present in Pittsburgh before 1820 according to a copy of the Independent newspaper, discovered in 1997, in what is a rather remarkable coincidence, if nothing else, in which Rigdon and Spalding are listed as having mail available to be picked up. That is, if in fact this is the same Sidney Rigdon as in the Mormon accounts. You understand, this seems quite likely because in their sworn testimonies several eyewitnesses told of recollecting seeing him at specified times at the printing shop and also at the post office, some claiming he was connected to the manuscript as well. Sticky fingers, maybe? Something, apparently, the LDS Church dismissed as false as they felt could not be corroborated. Doubt is cast on the Mormon claims by some of the eerie similarities of various statements. Included in that analysis is some of the claims surrounding the father of Joseph Smith. There is a report from 1840 as just one example of the heightened imagination of Martin Harris, that "after one of his excursions to Pennsylvania" he met the Lord Jesus Christ who walked beside him for miles in the shape of a deer, "talking with him as familiarly as one man talks to another." Another man told how he also saw the devil on the road. In spite of this, the Evangelist of Carthage, Ohio, in 1836 quoted him in a rare candid moment about the witnesses who subscribed to seeing the gold plates as saying, "that any man who says he has seen them in any other way, (as in a vision-edit. ), is a liar, Joseph not excepted." A Word on Joseph Smith, Sr.
(This section could came after the missing manuscript header, but it shouldn't hurt anything much by placing it here). Joseph Smith Senior had moved his family from Vermont in 1814 to Palmyra, New York; then to Manchester by 1822. Now, by 1820 there were religious revivals and some members of Smith's family had joined the Presbyterians, yet ltaer, Smith claimed God told him in his First Vision, (much later), that when inquiring in prayer, God told him to join none of these sects. Joseph Sr. was said to be a dowser himself, proficient with the hazel rod, mostly to find lost cows, although much used by others to locate water and wells. He was very familiar with treasure hunting, a feasible origin for Joseph Jr.'s burgeoning interest that he traditionally encouraged in his son as he had strong faith in his son's peepstone and his ability to see the spirits. 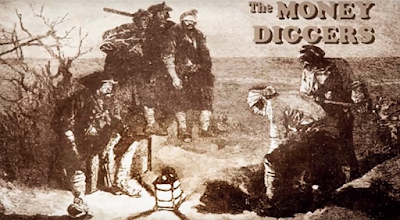 He would remind him treasure hunting was a solemn affair and not too talk out loud, but only to whisper, if he must, while rummaging in the full of the moon for Spanish mines and Indian loot. The old man was adept at magic circles, partial to 12-14 foot circumference around smaller circles, finally fixing a steel rod upon the precise spot chosen through astrological tracts while slowly walking 'the course of the sun' of this enchanted digging ground. Next, the hard work would begin in earnest, many times taking days on end to make the holes deep enough. Joseph Jr. was often an accomplice in these strange undertakings. The firm belief was prevalent that the devil was a strong protector of buried valuables and one must be on your guard at all times for the trickery of evil spirits and ghostly guardians. Of these things, Martin Harris was also a staunch believer who frequently recounted the details of the events in question. 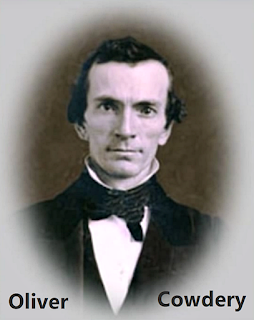 Oliver Cowdery was likewise interested and himself sometimes involved. By the way, in 1831, Abner Cole explained that Joseph Smith Sr. described Joseph's 'angel' as a "little old man with a long beard." Joseph Smith's mother, Lucy, was also a superstitious soul in her own right discussing with friends and relatives dreams and treasure lore. One correspondent was William Phelps, while even a Founding Father, Benjamin Franklin, was known to comment on the stories and in The Pioneer, author James Fenimore Cooper made mention of the subject. Briefly, Joseph Smith, Jr. used his favorite seer stone starting out his career by peering steadily inside of a white hat to locate treasure inside the earth as well as stolen or lost property that usually eluded his grasp. Later, he eventually came to be using this very method with 'Urim and Thummim' (resembling glass like spectacles), from behind a curtain in translating the golden plates after receiving visitations of angels, and under differing descriptions, even God the Father and the Son. He kept at least one such stone, his favorite, he was said to of located it with its 'dazzling splendor' some little time after his eighteenth year, in some tales as early as his fourteenth year, All quite mystical, and under these conditions, quite dubious. Understand, folk magic was a commonplace enough element to some extent. He then went into a trance and knew he was to become an oracle and possessed the keys to the book of fate, etc. Soon he was requested for insights into Captain Kidd's hidden money, and as his experiments escalated the 'money diggers' were frequently out and about with 'pick-axe, hoe and spade', avoiding the guardian demons and goblins searching for their grand destiny in the hills around New York and beyond. Joseph Smith was even said to of occasionally sacrificed a black sheep in a ritual for the successful discovery of treasure. Alas, it appears there are no actual reports of achieving any of these extravagant quests. Some of this took place in Harmony, Pa. while visiting his wife's relatives in the northeastern part of the state where he 'peeped' for treasure along the Susquehanna River very near to where he earlier had dug out plots of land by the river searching for lost Spanish mines. At one point, there was an odd connection to a magician named Luman Walters, besides escapades at various times and places with rival seers and interested parties. At another, it should be told that Smith would put his 'seer stone' in his hat and oddly covering his face envisioning the type of treasure was in the ground and how deep it was. This same strange procedure supposedly took place dictating the Book of Mormon to the curious extent of alleviating the need of actual plates being physically present. Indeed, the Mormon prophet had dreamed three times of the angel Moroni directing his steps in Palmyra, a sure sign of a positive outcome. It goes without saying, I am in no way making this stuff up, and apparently there are tens of thousands of people that still follow what most folk would probably consider little more than complete nonsense. As to many of the supposed witnesses of the gold plates, as much of the miraculous testimony appears to relate to, the LDS church maintains the confirmation of proof rested on their vision with the 'eye of faith'. There are hints that Joseph Smith told Oliver Cowdery, through supposed revelation that he must study the translation out in his mind...h'mmm. Well, regardless it is unfortunate that Smith died in the manner he did at the Carthage jailhouse. He left life with the same mystery surrounding him in violent overtones deeply portrayed among his unusual religious beliefs and prophecies. He had on his person a talisman of the planet Jupiter. Thought to be a 'masonic jewel', Dr. Reed Durham, President of the Mormon History Association, realized this was a sort of medallion in the shape of a silver dollar made of tin or silver inscribed with magical and astrological symbols, called by the good doctor, 'strange', and a 'most mysterious, occult-like, esoteric' object. A portrait of Joseph Smith. Further, Smith was hauled into court in 1826, whether he was convicted or not, for 'glass-looking', in other words, a form of fortunetelling which would conceivably be popularly believed to be a fraud. Brigham Young was thought to be a knowledgeable source of lore in this capacity in the 1870's with the celebrated Dream Mine as well. By the way, Pennsylvania has its own 'lost' lore on the legendary subject, perhaps a blog post would be a fascinating endeavor for a future date! Do let me know if any of you folks are interested in me providing a suitable list of lost treasures in 'our' state! If I were pressed that the information related so far was not equal to the task, it might be sufficient to go into further detail for that reason. In sifting through the reports and evidence of the historical record, one would be wise to keep in mind the honest address of one time President, Gordon Hinckley: "Our whole strength rests on the validity of that vision. It either occurred or it did not occur. If it did not, then this work is a fraud". Apostle Orson Pratt more than echoed these words. As to the subject matter, one might say straightforwardly, 'let the chips fall where they may', in the sense of whatever dates, facts and actualities are the most feasible, that is the best outlook. I would add that much else is up for debate in a forum which not only conjectures that many topics in Joseph Smith's life as well as his corroborators and later leaders appear suspicious, but hint strongly of unbiased imposture and circumstances that allow for caution in putting faith in a system of beliefs and an organization with motives and practices consistently displayed in such a fashion. Sure, anyone can technically believe what they want, even the Easter Bunny, still a persons' religious faith is a sacred obligation requiring soul searching toward miraculous claims and extraordinary writings to try to ascertain the possibility of exaggerations, myths and which hopefully is without a ton of intrigue and doubt. A personal choice in deciding what constitutes a worthy trust in those 'intangibles' and what influences are detrimental to a healthy spiritual existence and true faith in God. As to the conflicting aspects of Smith's personality, the idea he was a 'pious fraud' type, the striking eccentricities of his character, perhaps lends credence that he was secretly a Universalist, as earlier on he may have been more of a mainstream Trinitarian snce he had spent part of his time in Methodist Sunday School. Possibly he did not particularly fear the consequences of his sometimes outrageous and insulting actions and even occasional deceptions,. And then again, privately, he was not uniquely concerned in the image he created holding an attitude denoting what we call role playing, or a form of fantasizing. Maybe he was just too busy to give it a lot of thought. These days, we understand the nagging possibility there could have been issues with megalomania, a bi-polar condition, or a form of ADHD with no medical and few psychological treatments available. Who knows? Or the most improbable idea which doesn't apply well to the facts - it was real, which many would acknowledge as a conclusion past the realm of rationality and common sense. It is part of a formidable riddle. No point is being made to look disrespectful or prejudiced, and it may be difficult to appear not to be, yet no excuses are offered by the many notes, reminiscences, and documents touching on the credibility of others in defense of a search for a real solution. Neither should anyone else deny the need to discover what is the most feasible course of inquiry and the best results. In what is a Christian context, faith usually relates closely and absolutely to the Bible as the Word of God and His Son, Jesus Christ with many variations as to details. Church history is not above those precepts. The traditional religious study of the tenets and dogma that represent this way of life can be complicated enough on their own. In this spiritual process, it can be akin to walking a tightrope between fanaticism and skepticism in dealing with temptations, tests and trials of our everyday lives. Yes, discernment is needed combined with keeping an open mind, and discourage he who would dupe us as a roaring lion. On our guard to uphold our nation and its fundamental underpinnings, doing all you can to see things clearly in trying times. Such an undertaking may be at the heart of the many influences to delude and trap the questing person in their struggle to survive, remain free and express themselves in their own right. A difficult world fraught with various dangers than it would on the surface appear must be met with our faith and positive outlook...now I will get off my little soap box, thank you very much. On March 21, 1832 Joseph Smith experienced the unpleasant effects of being roughed up with tarring and feathering, to boot, One claim was that Eli Johnson instigated the punishment because Smith had an improper relationship with his sister, Marinda. Others stated he was her uncle. As for Joseph Smith on the witness stand...well, the actual details are complicated and conflicting and too involved to be worth an in-depth account, so we will move along to later testimony. Very briefly, this concerns the trial at Chardon where a Mr. Hurlbut, a partly discredited individual, a Mr. Roper, Mr. Whitney, with supposedly extenuating charges against Hurlbut. The charges do not appear to have been proven. Hurlbut was said to of taken the manuscript from the trunk of the Spauldings in Hartwick and did not return it; he interviewed witnesses to varying conclusions in Conneaut and Palmyra. Nothing is established beyond a reasonable doubt, but the preponderance of evidence creates an eerie amount of stories that needed addressing. An important in his life, however embarrassing took place in June of 1837. Joseph Smith the seer, the diviner, was in court on a charge of conspiracy to commit murder. In fact, the case was presented that he planned to kill a prominent anti-Mormon, Grandison Newell. According to the Painsville Telegraph of Chardon, Ohio, from the Court of Common Pleas,apostle Orson Hyde stated, backed up by apostle Luke Johnson, " Smith seemed much excited and declared that Newell should be put out of the way, or where the crows could not find him..." Again, the charges were not proven in court. Keep in mind, thus is dealing with notarized affidavits, and Smith's reputation of womanizing and as a man of poor character were frequently at issue. The contradictions of the Book of Mormon, let alone the mystery surrounding its origins would fill a lengthy pamphlet in and of themselves. Smith was either a genuine prophet with all his controversy, or a deceptive imposter. There isn't much elbow room in between. It should always be kept in mind that many so-called cults like the Mormons, Jehovah's Witnesses, Scientology, Theosophy, the late Sylvia Brown, etc., made, or still do make exclusive claims to the TRUTH in which all other avenues of traditional forms of beliefs were condemned and maligned and anyone else is damned for eternity. "So very open minded and fair", you might say, cynically. That is not to belittle that fact this has happened between what others would term more legitimate sources of religion. At least these groups of Presbyterians, Methodists, Baptists, Catholics and the like have stock in the major issues. What a prickly situation. Of course, it is YOU who must ultimately decide o what to believe and what not to believe. Was Spalding ripped off in the western part of our state and his writings turned upside down into a new religion? What to trust, who, and how much defense is given toward that position, or maybe none, is an age old question. On a positive note, the Mormon work ethic is in many respects something to be admired, downright industrious, while having a distinctly patriotic stance, yet an even conservative outlook on various ideas. The major purpose here was to enlighten visitors on the intriguing connection of the Mormons to this region. As I offer a debt of gratitude to the various researchers that sifted through the documents and material, hopefully this demonstration was adequate, maybe in some areas more than others in a simple presentation of an objective glimpse toward the historical likelihood of the origins of the Book of Mormon in Pennsylvania and New York as the main focal point. It is a reasonable reaction to conclude that the evidence vindicates those Conneaut witnesses and many others that remembered the contents of Spalding's Manuscript Found, what it meant to him, and the circumstances in the above paragraphs. While acknowledging the possible religious perspective within the subject matter, people are better off keeping in mind this all took place in a time of important repercussions, changes and upheaval during Christian revivals in a far different climate and date. Thanks for checking it out and let's hear from you. Have a Merry Christmas and a Happy New Year, 2018!